In this Part 2 of the exclusive revelation of the personality traits of the business enigma, Dr. Michael Agbolade Ishola Adenuga (Mike Adenuga Jnr.) 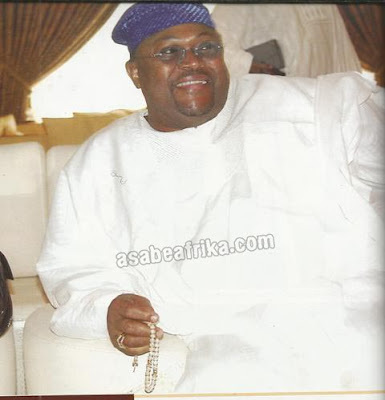 by your Africa’s Number 1 Celebrity Encounter blog, Asabeafrika, we bring you more interesting facts that has lived with the well respected Ijebu (South West Nigeria) born business magnate for years with nobody knowing. Take a seat, find a drink and don’t forget your snack as you enjoy the read. Mike Adenuga is a workaholic. He has very little interest outside of his work. He is the sort of billionaire who is married to his work. Like Rupert Murdoch, another work fanatic said, Adenuga believes that “working is not a means to an end. It’s the end. It’s one man’s war”. Adenuga has his own time and term of doing things. When he sets appointments he can cancel without any prior notice. He is a typical Taurean; Tough as nails, aggressive, patient and very reliable. It is because of his zodiac sign that some call him The Bull. He has the insignia of the bull everywhere around him. His personal crest has a bull. This is easily recognizable on all his personal correspondences and envelopes. The door to his office has a bull inscribed on it. When you arrive his corporate Headquarters in Nigeria, aptly named Mike Adenuga Towers, you are welcome by a golden bull, the type you find on the famous wall Street. His Conoil Plc headquarters in Marina, Lagos Inland is called the Bull Plaza. Even his new mansion on Banana Island has golden bull statues dotted everywhere. His bullish nature is not by pictures or carvings, he lives and exhibits it in real life. 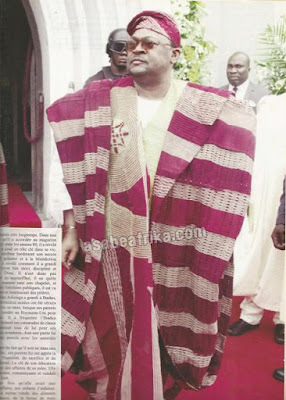 Just like an ill-prepared matador gets ripped off, Adenuga, the raging bull, usually crushes those who underestimate him or take him for granted. You cross him at your own peril. However, he can be a great conversationalist and decent listener. He can sometimes appear aloof, but he usually shows his prowess with sharp and crisp questions. Always seeking for bare facts, he has zero tolerance for time wasters. Those who work for him know better than be sloppy when chairman gives you an assignment. To his employees, he can be at times cold, impatient and all business. Yet among them, there is a sense of excitement and opportunity about working for him. He tends to hire people who are grateful for the chance. Those who are bright and ambitious and that is why he personally interviews his workers. The effect of a one-on-one with this great man is usually inspirational. Oftentimes, you go home when employed with a feeling that you are getting more from life because of him than you would have without him. Adenuga cherishes loyalty- and he pays handsomely for hard-working and loyal staff. But of course, when you step out of line, he is very brutal. Sacking people on the spot! He is without flamboyance or personal exaggeration. He has no social aspirations, and is hardly seen at parties and events—It is no longer a big deal to notice that he does not attend even major events hosted by his company. However, like very human, he too lets his guards down at times when he is with his own people mostly friends from way back. He reportedly has a great sense of homour. When he is in these moods, he has an infectious, ebullient laughter. To his children, he is their dear doting dad. He loves them but has tried to teach them like he was taught by his mother that there is no substitute for hard work. 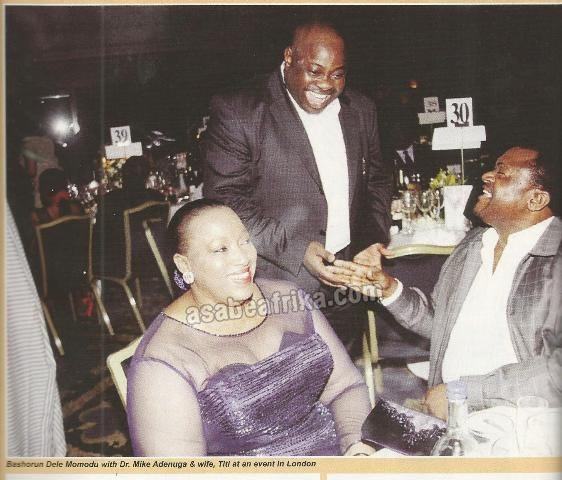 Mrs. Bella Disu, his second daughter, told Ovation in an exclusive interview that her father is very caring but firm. When they were younger, he encouraged them to play the piano, the family used to have Carols at home at Christmas. It used to be fun, and the best piano players got good gifts. Bella revealed that her dad always wants the best for his children. “He has always said that he would never stand in our way if we are following the right path.. he dotes on us so much more than other regular fathers would”. She revealed. Adenuga showed how loving a father he is when Bella got married. Till date, it has been the best organized and classiest wedding ever held in Nigeria. The 3-day extravaganza was filled with glamour and grandeur. Mrs. Uche Majekodunmi, owner of Newton and David, a leading events company in Nigeria said “I was astounded and challenged by ideas that Bella Adenuga brought up. She has class, style and elegance. I have been in this business for decades and can confirm to you that the wedding will be by many miles the best ever held in Nigeria”. “Bella told me that for her wedding, money was not an issue”. The reporter continued. He echoed Bella Adenuga “Every single thing I asked for, he ensured that I got. That is the depth of his fatherly love. It was obvious that he was joyous throughout that ceremony”. Before that wedding, an occasion that Dr. Adenuga went all out publicly was in 2005, but this time instead of joy he was enveloped in grief. It was the burial of his sweet mother, Chief (Mrs.) Oyindamola Adenuga, she was given a first-rate and befitting burial. From the wake, burial ceremonies to the casket, no cost was spared. In fact, it was at that occasion that Evangelist Ebenezer Obey came out of his well-publicized retirement. 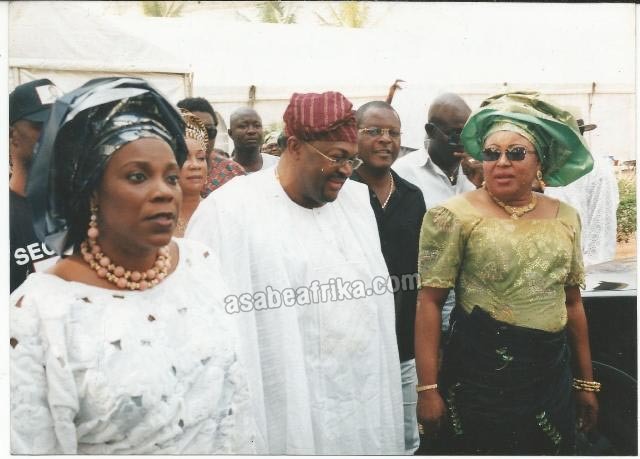 He was compelled by the persuasive power of Adenuga the Great to perform as a mark of honor to his mother. Evangelist Obey who at that time has stopped playing at social functions had no choice. After that performance in the Adenuga’s homestead, Ijebu, Ogun State, South West Nigeria, the famous Juju music maestro returned to the social circuit big time. 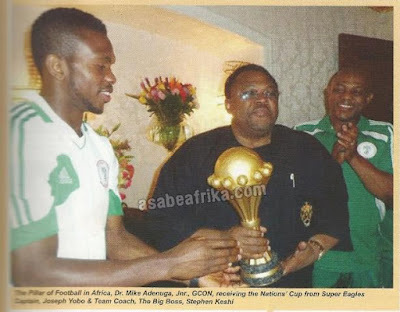 Dr. Adenuga, the one and only Pillar of football in Africa has not always been taciturn and careful about his security. But his days as free walking individual ended in December 1982`, when a band of robbers stormed his home on Talabi Street, Ikeja, Lagos- stole his valuable and drove away his new Mercedes Benz Car. For some inexplicable reason, despite the fact that he did not pose any threat to the robbers, nor offer any resistance, on their way out, one of the robbers fired a shot at him. The bullet cut through his legs, gravely injuring him and inflicting severe damage on his legs. Once he survived that attack, after many months of recuperation in London, UK, his rules of engagement with the world changed. He saw the experience as God’s way of giving him a second chance, an opportunity to affect the world. He then became paranoid about his security. “To further increase the myth around him, you cannot call Adenuga, he calls you if he needs you and if you call him back the very next second that number would be switched off. Only very few people can boast of having his direct contact. His staff knows better than to call him”. Long before people starting sending parcels and letters laced with ricin and anthrax, Adenuga had barred his office from receiving any letter or parcel that he was not expecting. All such packages are returned untouched. To further increase the myth around him, you cannot call Adenuga, he calls you if he needs you and if you call him back the very next second that number would be switched off. Only very few people can boast of having his direct contact. His staff knows better than to call him. 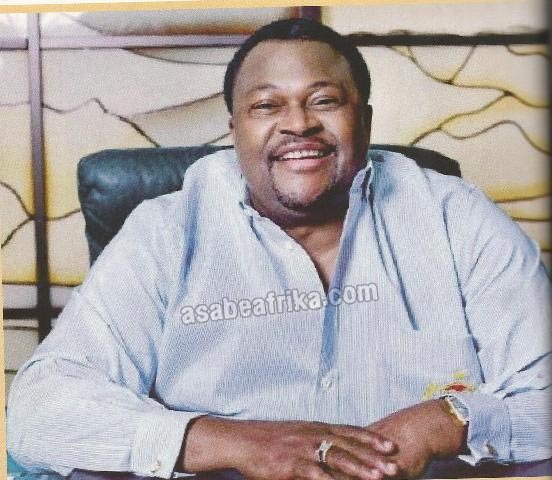 Adenuga is one of Africa’s most open-hearted and silent philanthropists. He is extremely generous. He gives without fanfare. His philanthropy budget is immense and it touches so many lives. 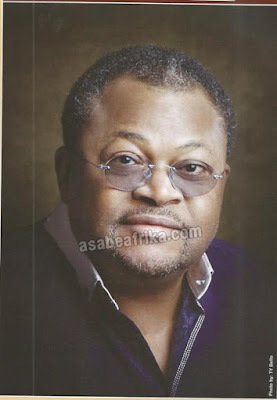 His official donations are now channeled through the Mike Adenuga Foundation but because he is media shy the foundation’s work is usually kept under wraps. There is no mistake about his enormous propensity to give. And some of those who benefit from his large heart are people who have been good to him. A good example is his affinity for former President, General Ibrahim Babangida. IBB’s government gave him the oil license that gave him a major break and he has remained grateful despite the fact that the General has long left power. 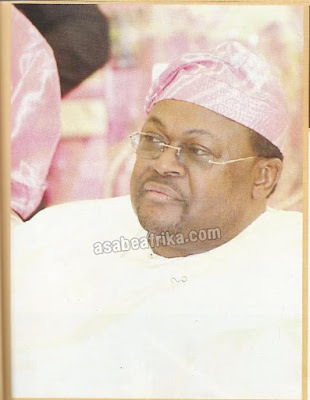 The former President revealed that Adenuga has been a reliable friend and a rare breed. “This reporter (Ovation Reporter) was in the Presidential Villa a few days after Globacom secured its license. 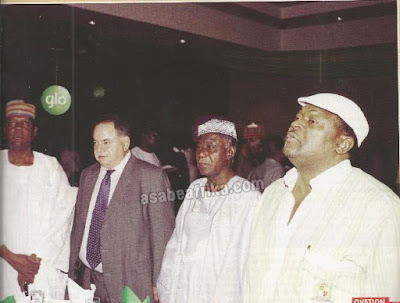 I was with Chris Mammah, the then Senior Special Assistant to the Vice President when Adenuga walked in”. His was on a whistle stop visit to say ‘hello’. He disclosed that he was just calling to thank everybody and was on his way to see Vice President Atiku Abubakar and thank him for the Glo licence. It is said that Atiku was helpful when he put in a bid for the SNO license. 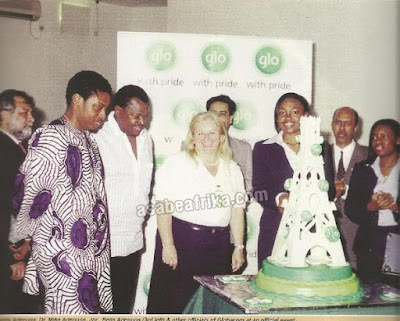 To show his appreciation, when Globacom Headquarters was completed, Atiku was one of those invited to open the lovely edifice and share in the moment of glory. So when the same Atiku had his travails at the Presidency, others quickly abandoned him but not Adenuga. 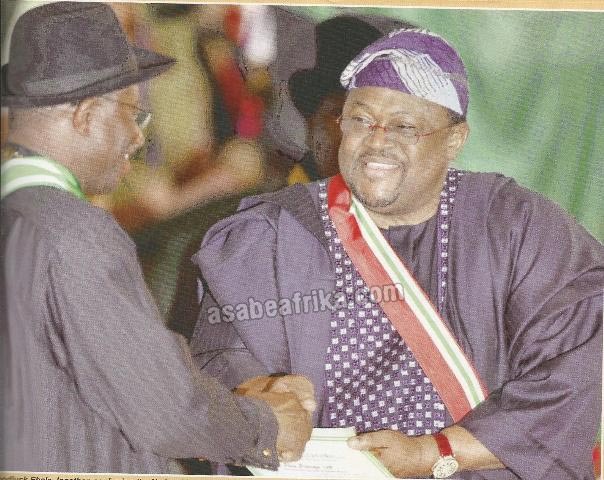 Like a trust-worthy friend that he is, Adenuga stood firmly by Atiku and this really angered Atiku’s arch-enemy at the time, President Olusegun Obasanjo. 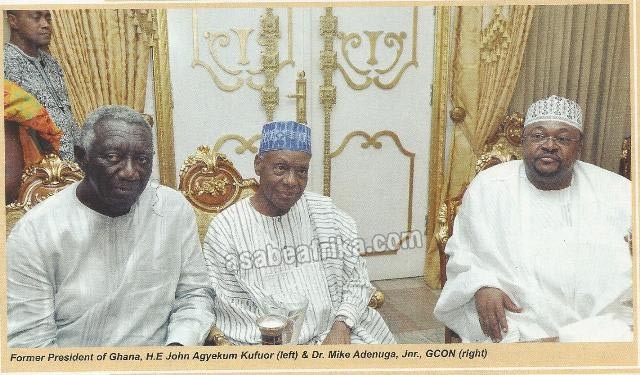 His closeness to Atiku was allegedly the main reason his house was raided in June 2006. Armed men in the dead of the night came with generators and electric saws and cut through his gates to effect his arrest. The supposed charges by EFCC were later revealed to be concocted; it was a smoke screen designed by President Obasanjo to teach Adenuga a lesson. Indeed, that was a very trying period for Adenuga, he was harassed and traumatized so badly that he went on self-exile in Ghana and later in London but his relationship with Atiku never waned. And that is why many of those who are close to him love him; Adenuga is one friend you can trust. People may not know this; Dr. Adenuga was a friend of the famous journalist, Dele Giwa. Their friendship evolved in the United States of America. Giwa was also a taxi driver in the US, and helped Adenuga, the struggling student, learn the ropes of the business at that time. It was this bond of friendship that made him invest in Dele Giwa’s dream project, Newswatch. In fact, it was as a Director of Newswatch that the name Mike Adenuga first entered the media and altered national consciousness. Adenuga, who like Napoleon, the famous General, believes that impossible does not exist, is a perfectionist par excellence. He has showed us all that hard work pays; that our continent is not all about war, disease and famine, that we have brilliant and savvy businessmen who can ride the tide, compete with people from other parts of the globe and emerge as Champions. You may never find his name on any Forbes Rich list but without any shadow of doubt, Adenuga is at the top echelon of the authentic list.  A comedian analyzed the scenario this way; “the world’s Richest man today, Carlos Slim, owns less than 50 per cent of his telecommunications companies, Adenuga owns 100 percent of Globacom, if we add his investments in oil & gas, properties and other sources, it is certain that he is worth a huge fortune”. Little wonder the Rich list has been controversial for years. But that is how Adenuga loves it. He will never give out his financial data or details. He likes to keep us all guessing and debating, while he is smiling to the bank! Abraham Lincoln, the 16th President of America, said “I like to see a man proud of the place he lives and I like to see him live so that his place would be proud of him”. We Africans are indeed proud of this giant of a man. We are proud of his success story, we are proud of his go-getting contributions to humanity and above all, we salute his courage.